In this issue, we discuss two topics: Canola variety comparison data and aster yellows. 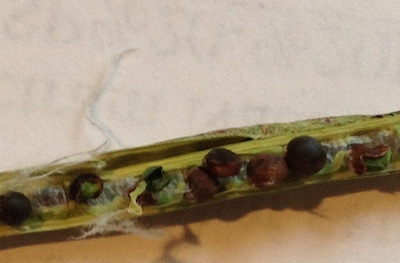 Aster yellows is not usually a major disease of canola, but it was in 2012. In this issue, you’ll find answers to many of the aster yellows questions raised during the October year-in-review meetings. When you look at Canola Performance Trial data, look at how a variety yields at every site, not just those closest to your farm and not just the overall average. The statistical significance of results increases with more sites analyzed, but digging deeper will show how the variety performed under different stresses, soil types and growing conditions. Read more for other tips to get the most out of the data. For the variety you have chosen to reach its full potential, it is important to get an adequate number of healthy plants growing. Agriculture and Agri-Food Canada surveys of canola fields in Alberta in 2010 and Saskatchewan fields in 2012 found that only about half of fields achieved an average of 5 plants or more per square foot. 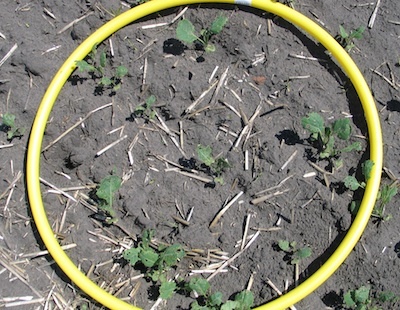 Canola plant stands with fewer than 5 plants per square foot will almost always have yield loss compared to the same variety at 5 or more plants per square foot. 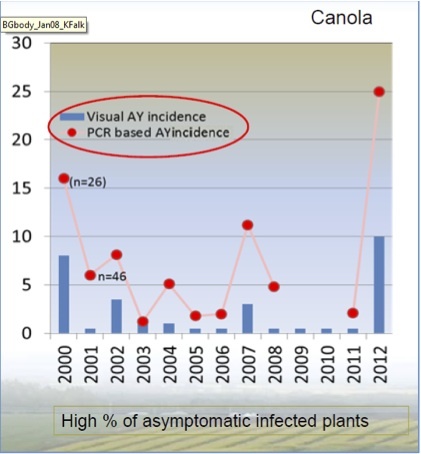 Sclerotinia and blackleg remain the top two most important canola diseases, but aster yellows are a hot topic after a bad year in 2012. The Canola Council of Canada agronomy team came up with the following 10 questions about aster yellows. Chrystel Olivier, research scientist with Agriculture and Agri-Food Canada in Saskatoon, answered them the best she could given what is currently known about the disease.